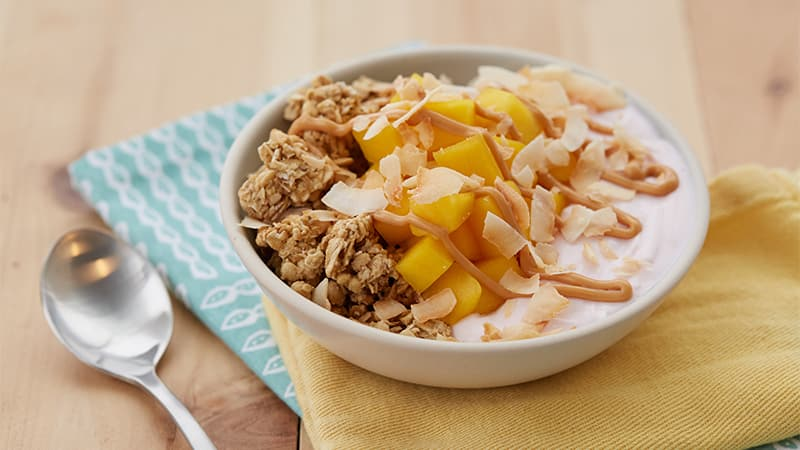 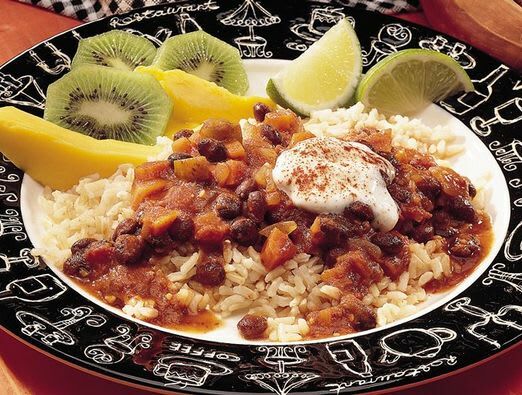 Skip the airfare and still get a taste of the tropics with this fruit-filled crunch bowl that’s loaded with whole grain and protein to help keep you going in the morning. 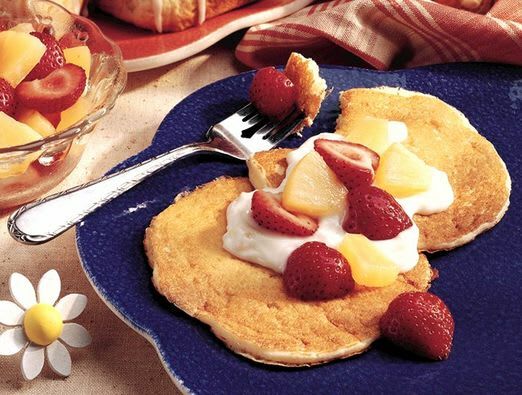 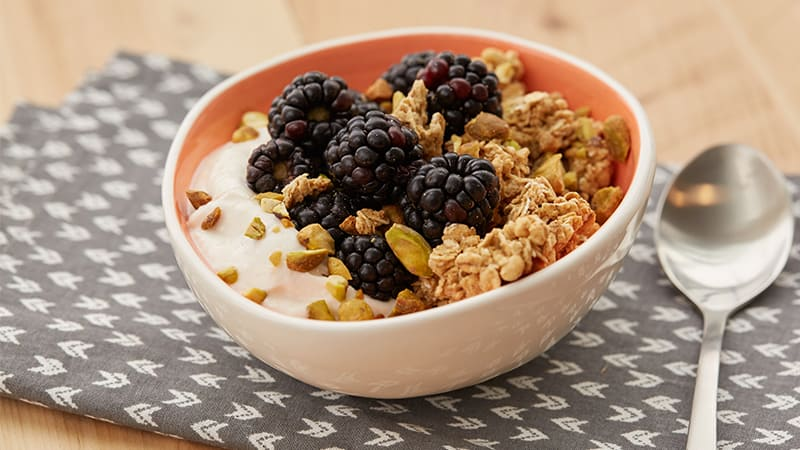 Start your morning off right with this fruity, creamy crunchy bowl – it’s a good source of whole grain and protein to help fuel your day. 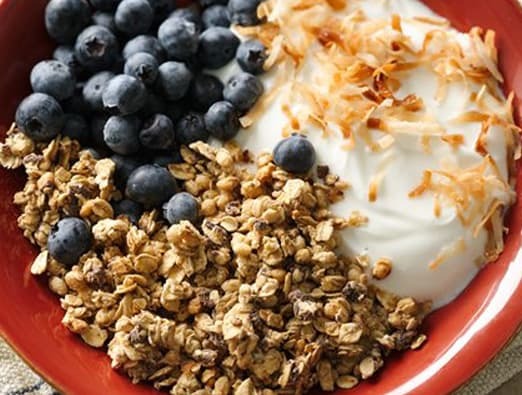 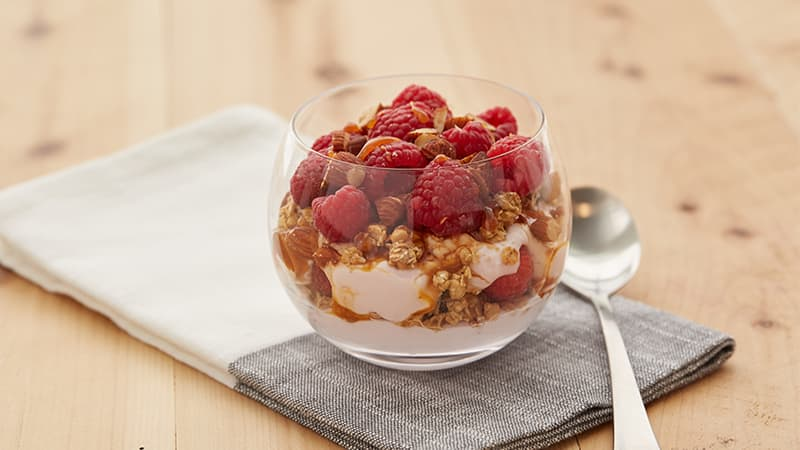 This beautiful and delicious parfait will energize your morning with its blend of whole grain and protein. 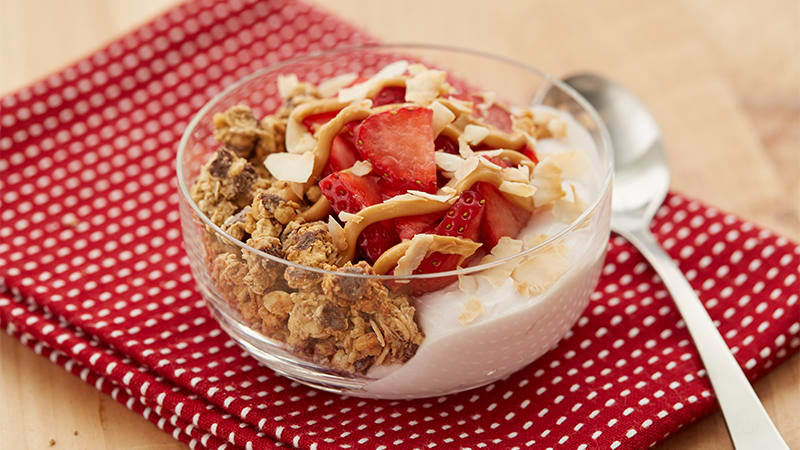 This decadent crunch bowl is as filling as it is delicious – with whole grain and protein to help satisfy your hunger and energize your morning. 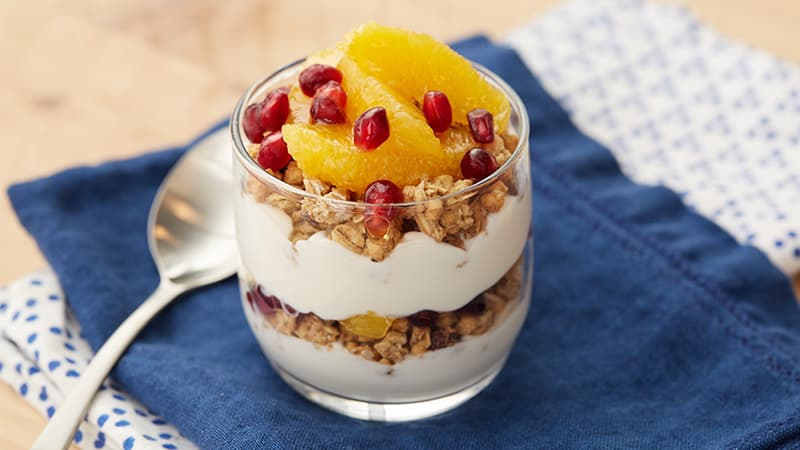 This deliciously fun cheesecake parfait has a secret – it’s packed with protein and whole grain to satisfy you and make you feel full. 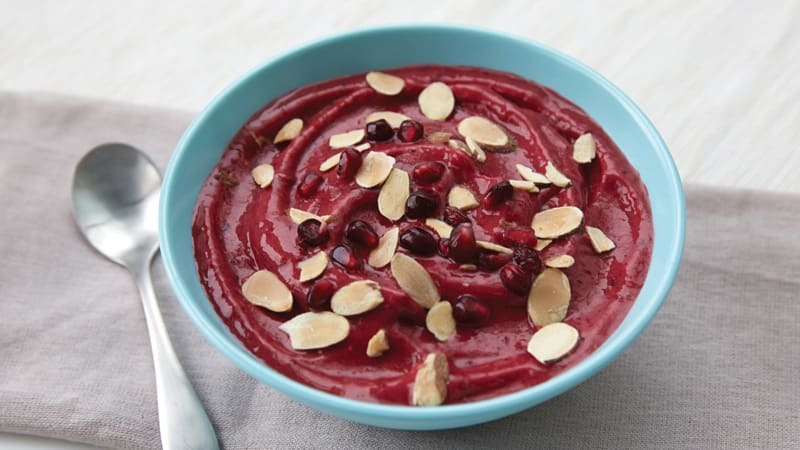 Enjoy this sweet-tart smoothie in a bowl made with cherries, pomegranate juice and yogurt. 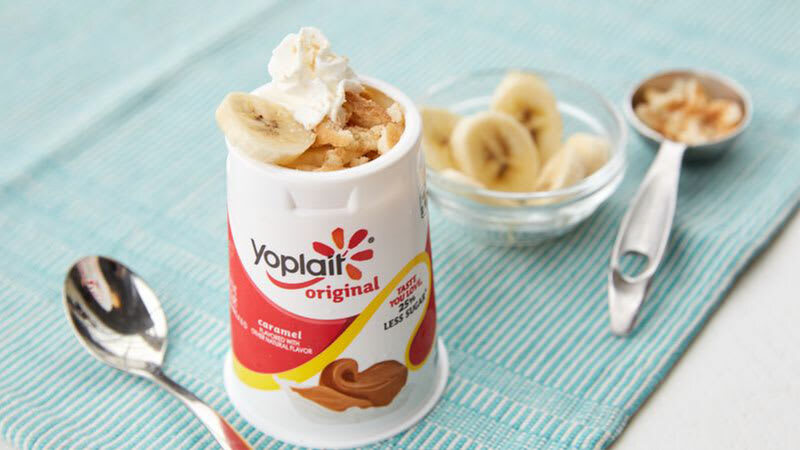 Classic banana pudding and yogurt combine in this creamy snack cup. 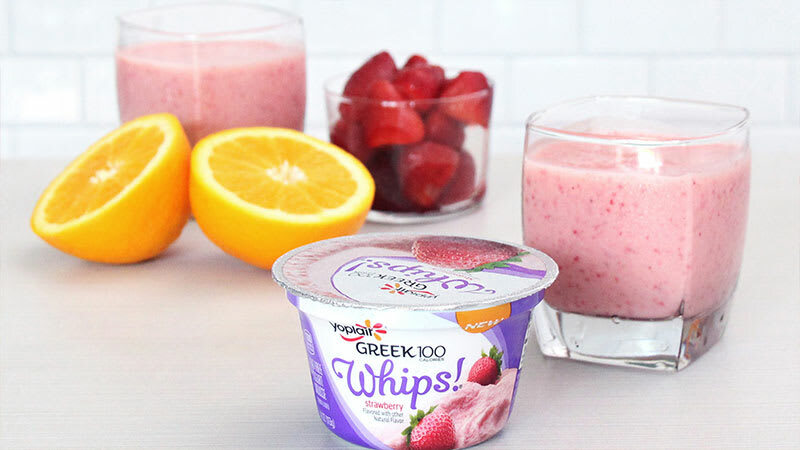 Make this strawberry smoothie for a sweet afternoon snack or easy breakfast on the go. 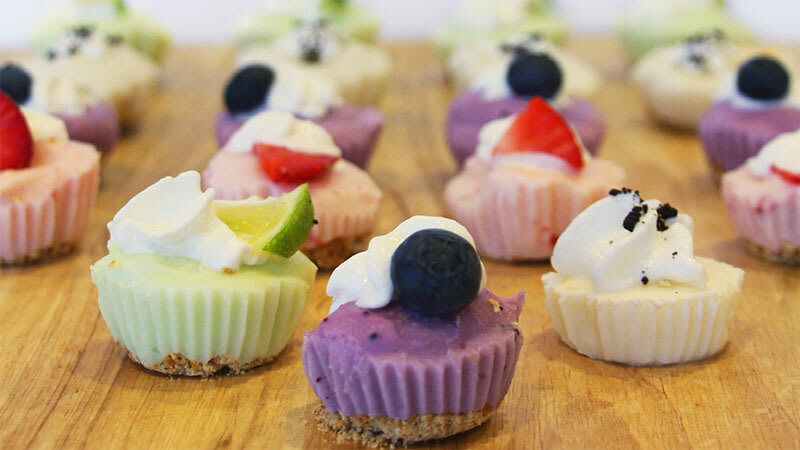 These bite-size frozen berry pies are the perfect summertime snack or dessert.